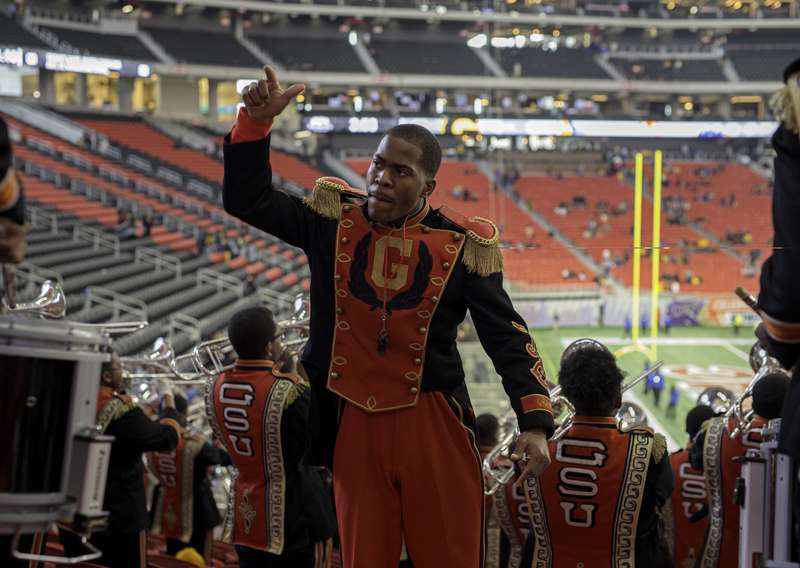 The 5th Quarter in the world of football at historically black colleges and universities (HBCUs) takes place after the X’s and O’s, when each school’s band battles each other for bragging rights to the best musical performance. 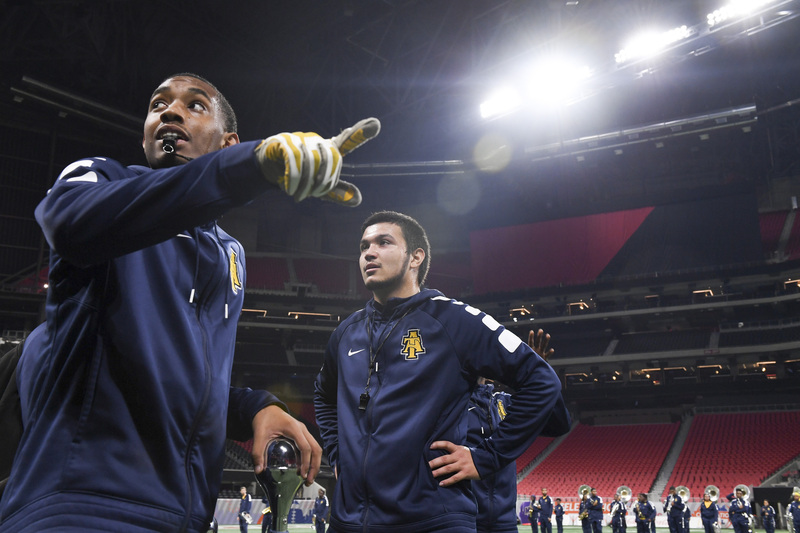 These displays of showmanship, from the choreographed routines to the song selection, require months of practice and dedication by every member of the team. 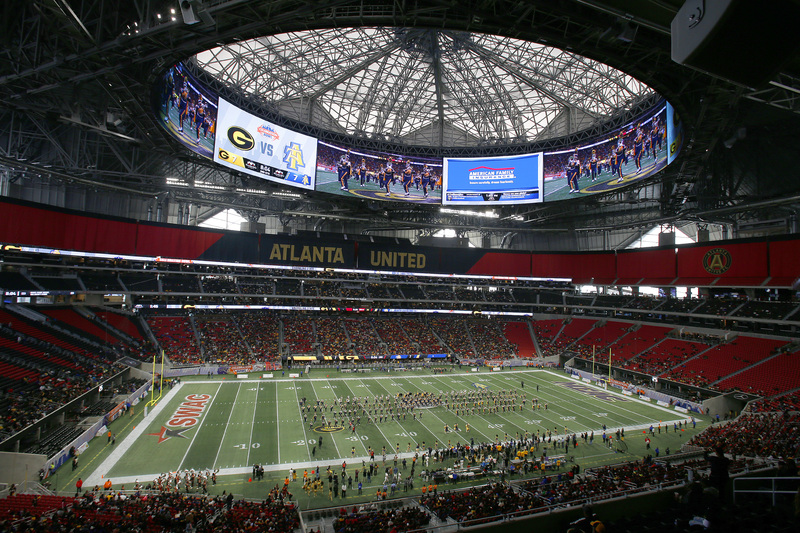 In this installment, The Undefeated not only goes behind the curtain to reveal what goes into pulling off those amazing performances, but also some of the top moments from the 2017 Celebration Bowl at the Mercedes-Benz Stadium in Atlanta. 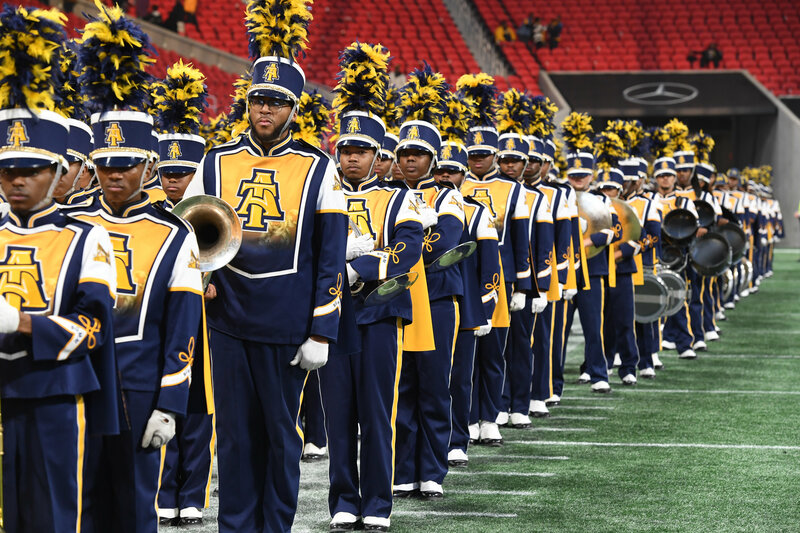 Nearly 26,000 people watched the North Carolina A&T State University Aggies take on the Grambling State University Tigers, and the bands quickly became the main attraction during halftime and well after the game ended during their 5th Quarter band battle — a perfect ending to a perfect weekend. 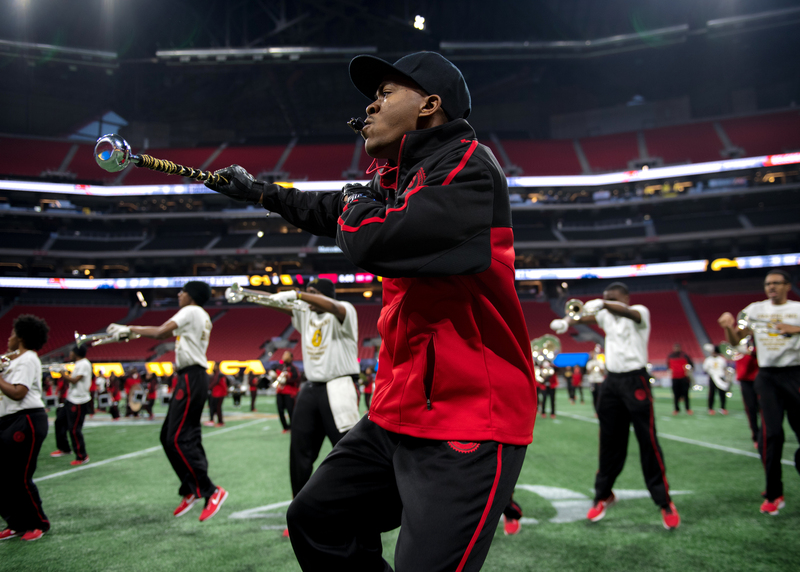 Grambling State drum major Cornelius Ewing leads the band during rehearsal for the Celebration Bowl. 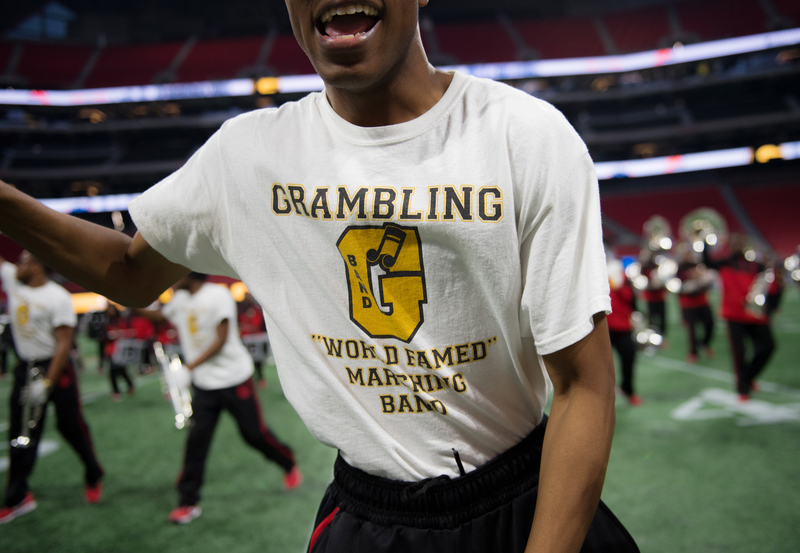 A member of the Grambling State band during rehearsal for the Celebration Bowl. 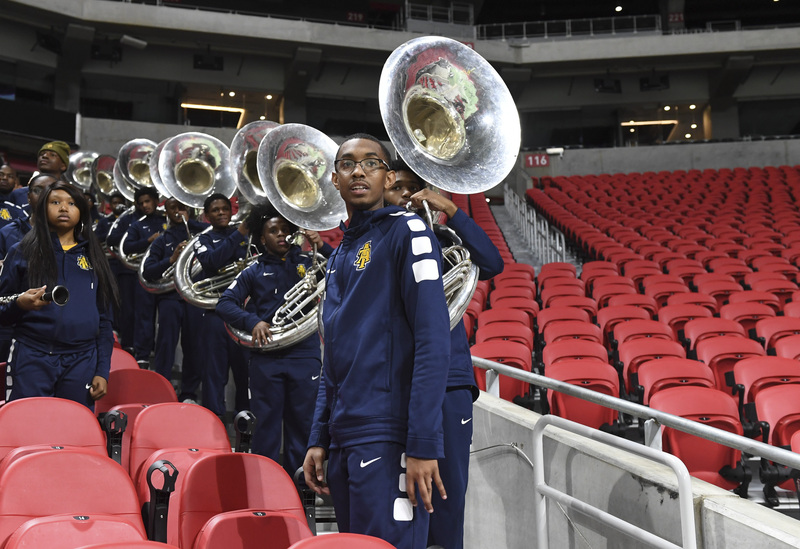 Screams from fans of the North Carolina A&T State University Blue and Gold Marching Machine nearly drowned out announcers as the band approached the field for their halftime show. The Machine gave fans a seamless mix of old and new school, smoothly transitioning between old school favorites, from Guy’s 1989 hit “I Like” and Rufus & Chaka Khan’s “Ain’t Nobody” to Cardi B’s “Bodak Yellow” and Boosie Badazz’s “Set It Off” to get the crowd going. 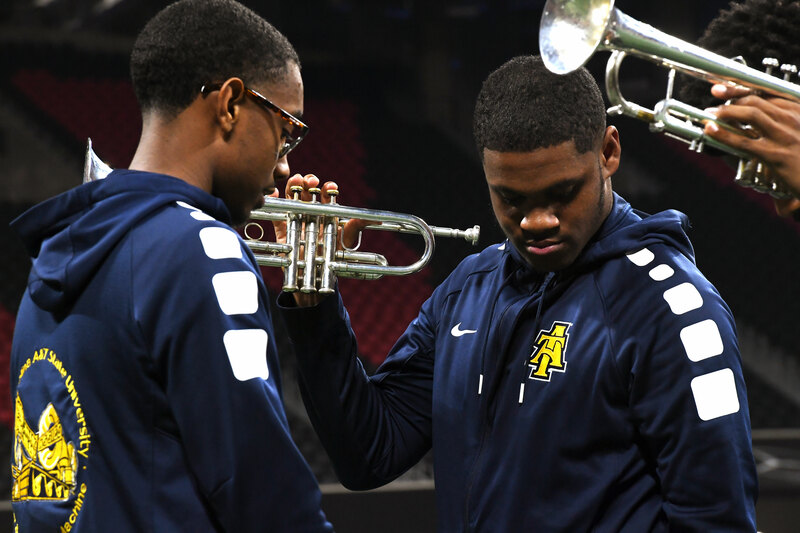 Dec 16, 2017; Atlanta, GA, USA; North Carolina A&T Aggies band performs against the Grambling State Tigers at halftime in the 2017 Celebration Bowl at Mercedes-Benz Stadium. 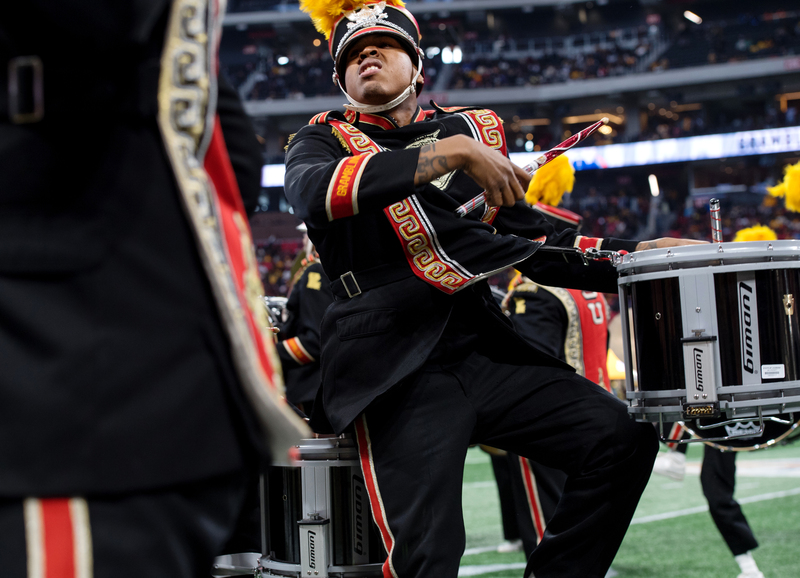 Drum Major Cornelius Ewing of Grambling State performs during the half time show at the Celebration Bowl. Fans can always count on the World Famed Tiger Marching Band for an energetic show. 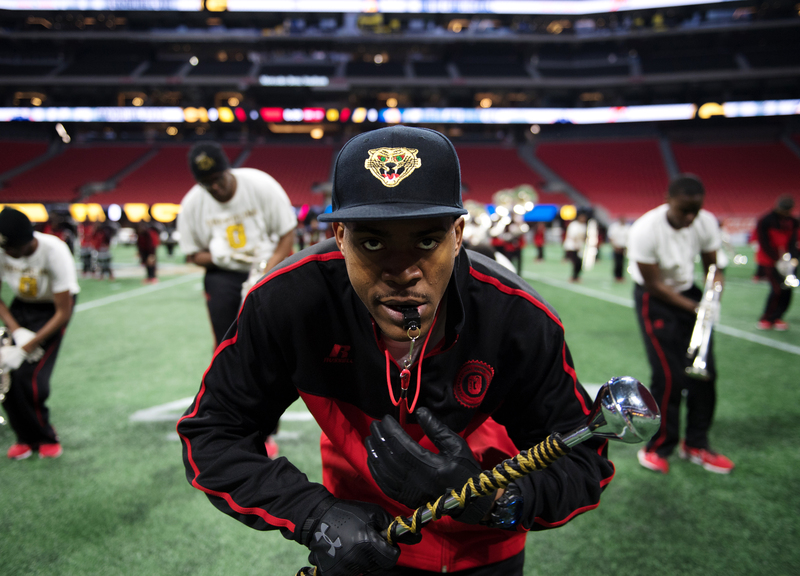 The band took the field first and blared out the classic TLC hit What About Your Friends as its opening song, and followed with DJ Khaled’s Wild Thoughts. 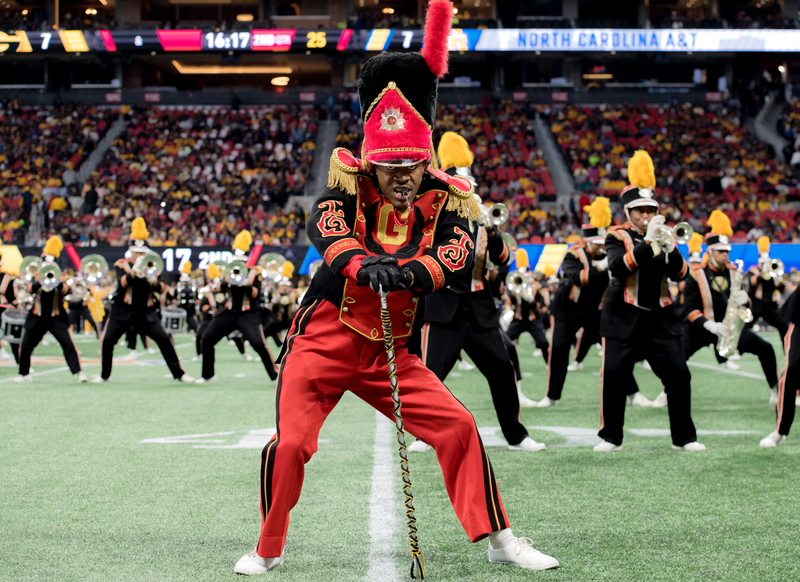 In what felt like a shortened halftime show, the band gave the crowd a signature dance session to upbeat tempos before signing off with their unofficial fight song–getting the crowd hyped as they exited the field. 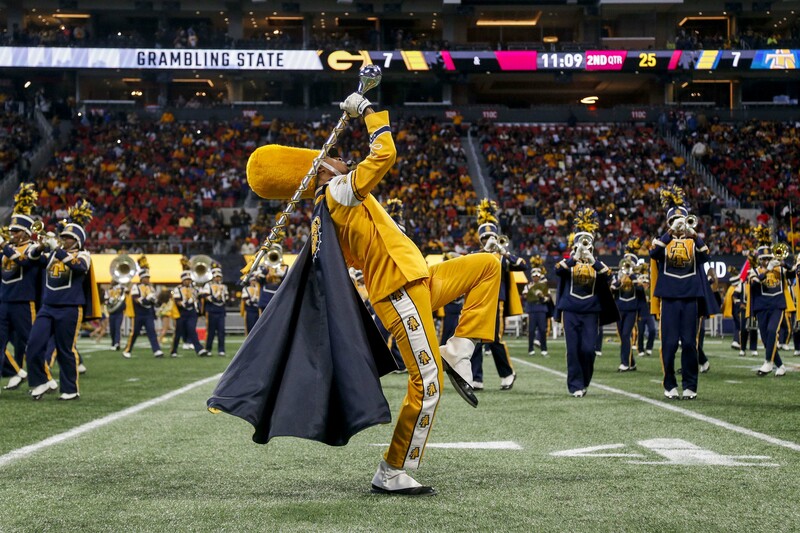 Drum Major Cornelius Ewing of Grambling State during the 5th quarter performance at the Celebration Bowl.